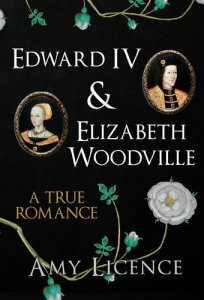 This week I have had the good fortune to review a wonderful new joint biography of Edward IV and Elizabeth Woodville by author and historian Amy Licence. Amy was also kind enough to answer a few questions for me; about her love of writing and history. Previous PostSickness worsening? Beware following DWP rulesNext PostElizabeth Woodville & Edward IV – A true romance by Amy Licence.